1. Rain constellations bus window, cars backwash tarmac, droplets break tension ripples natural birdbath. 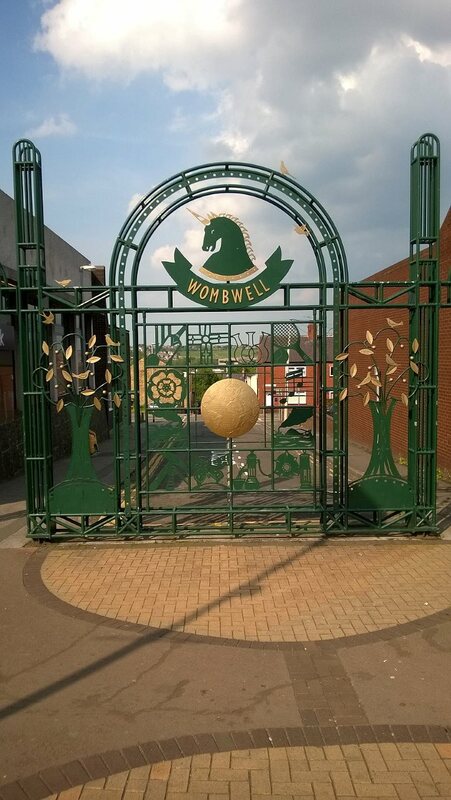 After nimbus drops inhale moss like marine pool kelp after wave sea breeze fresh, glowing: Wombwell by the sea. Evening spitting, growling, flaming, fluid lads/lasses on heat, short shirts tempers. This is the barbecue. 2. sunbreaking brought bling jewels from overnight rain, droplet tiaras/earrings trees, lampposts ankle bracelets. On bus glimpse unnetted/unblinded windows massive TVs window on window on corporate images: ogle goggle boxed. 3. Red brick houses catch breath pinioned afore storm close hunker flashwatch glower cloud roll amass. Listen.